On PBS late last night, Chicago's Grant Park had a million jubilant people and lots of American flags, but no silliness with confetti and pom-poms. It wasn't we-won jubilation so much as we-did-something-impossible jubilation, awestruck and sober. I noticed the letters USA in white lights in the background of the televised scene. And I felt moved in a way I haven't felt moved by seeing "USA" in decades. The last eight years in particular have been an embarrassing time to be a citizen of this country. Last night was different. I was suddenly and strongly reminded of the "USA" lettered on Apollo 11's Saturn V at liftoff. The plain sans-serif capital letters even looked very much the same. 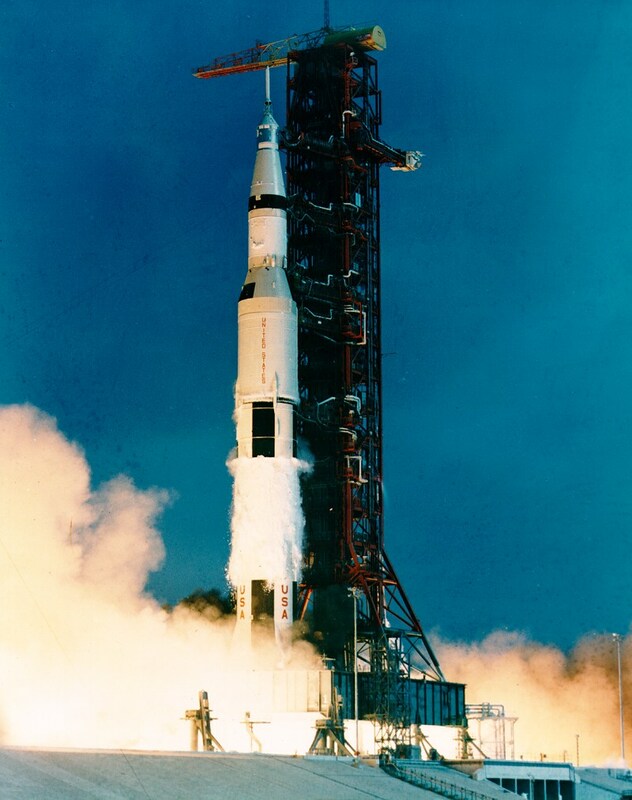 When the moon rocket lifted off, its destiny was very dangerous but its mission was astoundingly significant. And that, I think, describes the threshold the next presidency of the United States of America crossed last night. Godspeed, Obama.